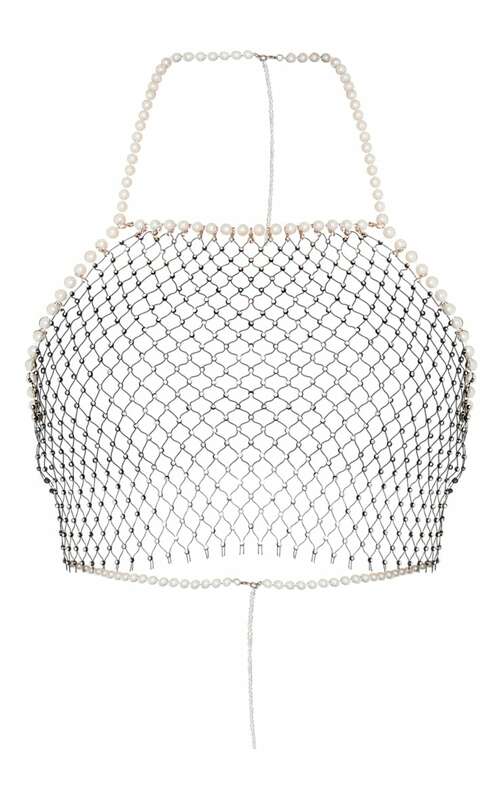 Get that festival vibe on point with this body jewellery top. Featuring a black fishnet design with contrasting pearl straps, we are obsessed. Team it with some denim cut offs for a look we're loving.